Personal and household debt has become a defining issue of the post-2008 world. 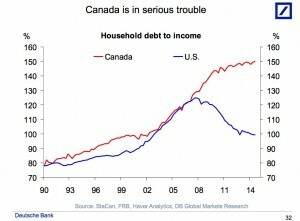 In a series on debt, The Globe and Mail proposes to “[Explore] our dependence on debt—from the average household to global institutions—and the looming risks for a nation addicted to cheap money.” The “addiction” stems in part from the lengthy period of low interest rates set by the Bank of Canada, which currently sits at 0.75%. According to the Bank of Canada, these low rates, below the thirty-year average of approximately 5.5%, have contributed to increased mortgage debts. 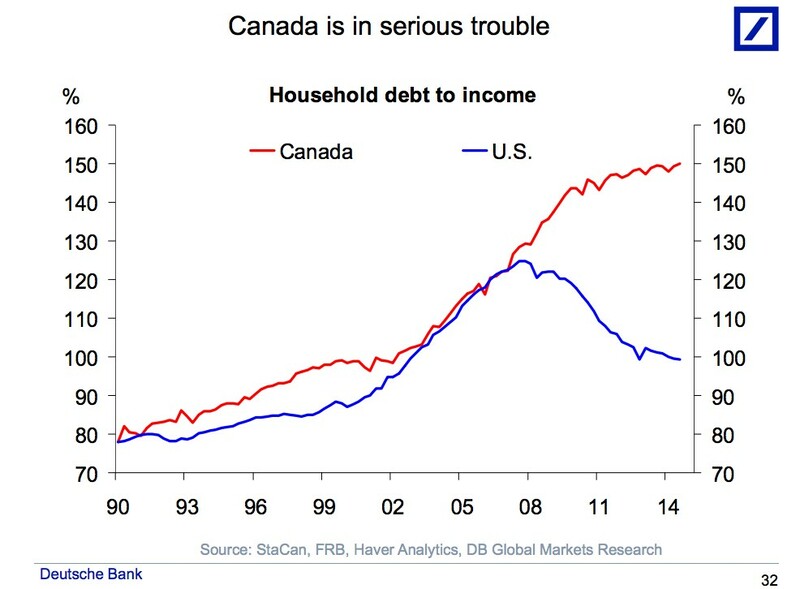 Debt from consumer spending has also been trending upwards, with consumer credit constituting nearly 45% of disposable income for Canadian households in 2011. Warnings about Canada’s high debt to income ratios have sounded since the 2008 recession, and continue to concern both policymakers and people trying to stretch budgets. Anxiety over high debt extends well beyond the household, shaping government fiscal policy orientated around balanced budgets—to the point of proposals for balanced budget legislation. According to the Canadian Centre of Policy Alternatives, focus on balanced budgets have had the effect of further burdening households, which have to make up for the reduced government spending. History has much to tell us about debt. The most obvious and frequent use of history is through historical statistics. Many of the reports noted above tended to draw on data sets on interest rates and household debts of thirty years or so. However, reliance on such data is imperfect. As a 2012 C.D. Howe Institute report on household debt noted, the U.S. mortgage crisis emerged in part because of overconfidence in the lack of a fall in nationwide average housing prices since World War II. Data works best when placed in social and cultural context, which is where historians come in. Here are two ways in which history nuances and sharpens our understanding of debt. There are, of course, many others—these just happen to be two of my favourite lessons. This is not a particularly startling fact, but it still demands close attention. In a recent interview, Bank of Canada governor Stephen Poloz noted that people who lived through the Great Depression were “very anti-debt” whereas people who grew up in the 1960s and 1970s, during an era of increased credit availability, tolerated higher debt. Comments like this, based on an intuitive and anecdotal sense of shifts in attitudes towards debt, are useful. However, historians can more rigorously connect impressions of these shifts to the seismic changes to cultural attitudes that attended the rise of consumer culture. As studies of consumption reveal, a fundamental feature of the 20th century was the conflation of citizenship and consumption. To give but two examples, Donica Belisle traces how Canadian identity became linked with department stores, while Lizabeth Cohen reveals the rise of a consumers’ republic in the United States, where consumption became equated with the public good. When consumption is connected to the very fabric and economic health of the nation, calls for spending restraint can ring hollow. The rise in consumption needed to be paid for somehow and historians have begun to trace the institutional foundations of debt in a consumer society. Starting after the First World War, credit and debt morphed from a system connected to local retailers or informal channels (like loan sharks or friends) to an impersonal network linking consumers and finance corporations. Louis Hyman has traced the emergence of consumer finance from the dubious practices of loan sharks to the rise of credit cards. He notes that access to credit became not just an issue of purchasing, but an issue of inclusion into postwar America. Being barred from credit meant being barred from the middle class. Perceptions of debt, and how much debt is too much, shift over time, but idealization of past decisions is something of a constant. As Lendol Carder noted in his history of financing consumption, each generation tended to create a new baseline to project as a period when people were thriftier and wiser with their money. In the 1920s, people fretted about the new consumer goods and the end of thrift in America. During the 1950s, people concerned with the postwar spending boom saw people in the 1930s as frugal penny pinchers because of necessity, ignoring the fact that consumer credit actually expanded during the 1930s. Poloz makes the same assumption in his comments. More attention to continuities in how people dealt with debt loads might help rethink some assumptions about consumption that rely on generational generalities. Let’s return to mortgages to consider this point. Many news discussions of debt, including the ones noted above, tend to think of mortgages in terms of private households. This is entirely reasonable, since home ownership has long been associated with the family or individual. Housing it not only an individual issue, however, as it is also a social one. There have been times where Canadians debated the merits of socializing the costs of housing, rather than exclusively burdening the individual. Following the Second World War, reconstruction was in the air and the idea of the social safety net was at its zenith. It was during this period that the idea of public housing gained its strongest foothold in Canada. Fuelling interest in public housing was the idea of veterans returning to Canada without knowing whether they had a home in which to live. In this climate, Prime Minister William Lyon Mackenzie King enacted a new National Housing Act and established the Central Mortgage and Housing Corporation to facilitate the construction of affordable houses. However, as both Kevin Brushett and John Bacher have argued, the promise of affordable housing soon crashed on the shoals of private interest and government indifference, as figures like C.D. Howe (the person, not the institute) and Louis St. Laurent opposed the idea of the federal government promoting public housing. Toronto’s government built Regent Park as a public housing program, but it too eventually limited its ambitions to promote public housing. Even though the push for public housing failed, and the cause is generally in disarray in Canada, the ever increasing individual debt loads fuelled with mortgages were never inevitable, but the product of specific policy decisions. Perhaps the state should have little to do with housing, but investigation of the periods when people deeply considered the merits of socializing what is considered to be a private debt has merit in a period when debt has become such a dominant part of our politics and society. Such an approach may cut against the austerity measures that tend to offset expenses to households, with dubious benefits for government’s financial health. Using history to explore debt impresses that debt is not a term with stable, self-evident meaning, but one bound to particular cultural, social, and political decisions that morph over time. Approaching debt with this point in mind opens space for alternative ways for thinking about the relationship between debt, the individual, and society.